Looking for that perfect command center that can keep you and your family organized? Command centers are unique to each household. They are the perfect way to stay on track with activities and events coming up, keep track of important papers and more. Create a one-of-a-kind command center that works for you. Gain some inspiration from these ideas below. 1. Parent Command Center | This command center has it all! Places to store your keys, calendar, grocery list, meal planner, bill holder, and more. It is perfect for those busy parents who are always on the go. 2. 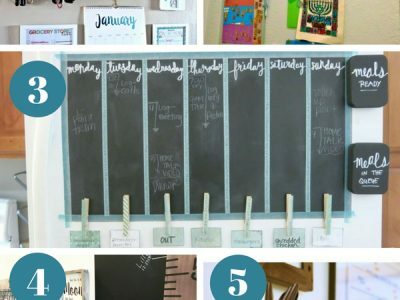 Wall Of Purpose | If you need a wall to keep track of your child’s chores, family calendar, and so much more this is a great command center. A great one for multiple kids, to keep track of their responsibilities and more. 3. Fridge Command Center | Maybe you don’t have space for a wall to be designated as a command center. This fridge command center uses minimal space that is normally just a catch-all for pictures. Why not utilize your fridge space with a system like this. 4. Farmhouse Style Command Center | Have that country farmhouse style in your home? Look at this gorgeous center that helps you stay on track in a very classy and stylish way, sticking to the farmhouse theme. 5. Picture Frame Command Center | Using picture frames they created a great command center that allows you to have little whiteboards to jot down notes and more. Get your home in order today. 6. Shiplap Command Center | A simple and elegant command center that won’t take up too much space. Find a little corner and create a station that fits your exact needs. 7. Colorful Command Center | A command center can be the center of your home. This type of system is great for a larger family with active kids. Check out this stunning and fun center. 8. Clipboard Command Center On Fridge | Here is another fridge inspired center to consider. 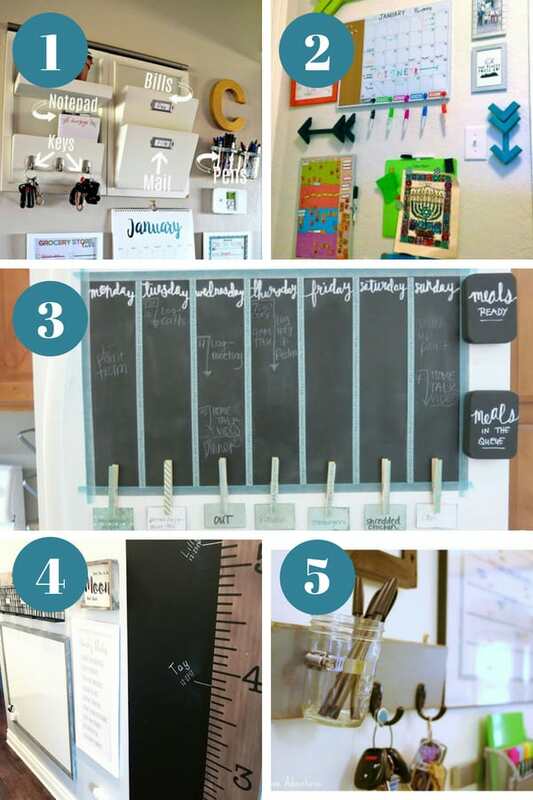 They use clipboards with magnets as well as chalkboards to create a clean system. I love the idea, very creative. 9. Kitchen Command Center Board | This kitchen center board is really neat. 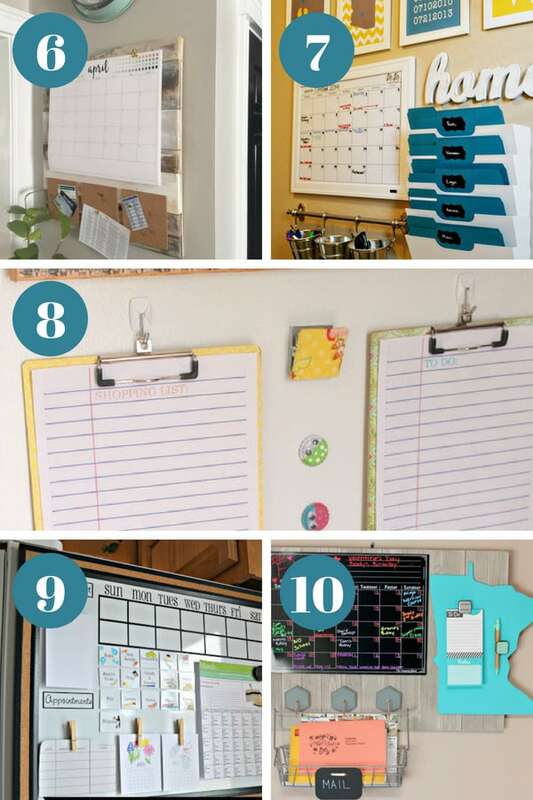 A cork board and whiteboard are what is used to create a system that is compact and works great on getting organized. Plus she shares free printables. 10. Affordable Command Center | Want a command center but don’t have a huge budget? Check out this really neat command center that is super affordable to make. 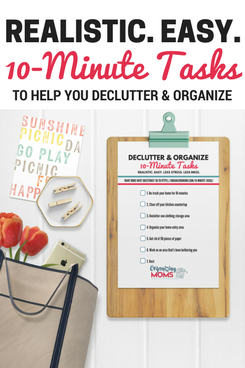 A great way to get you started on getting the family organized. Want to remember this? 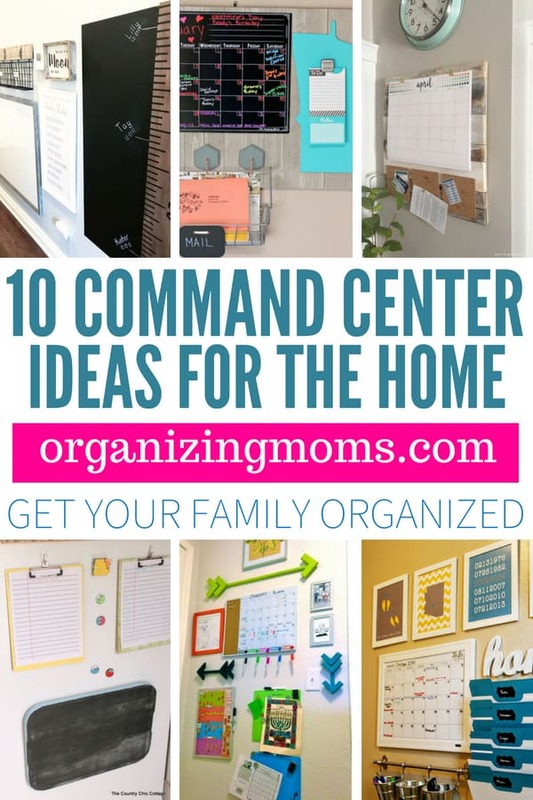 Save 10 Amazing Command Center Ideas That Will Get Your Family Organized to your favorite Pinterest board.